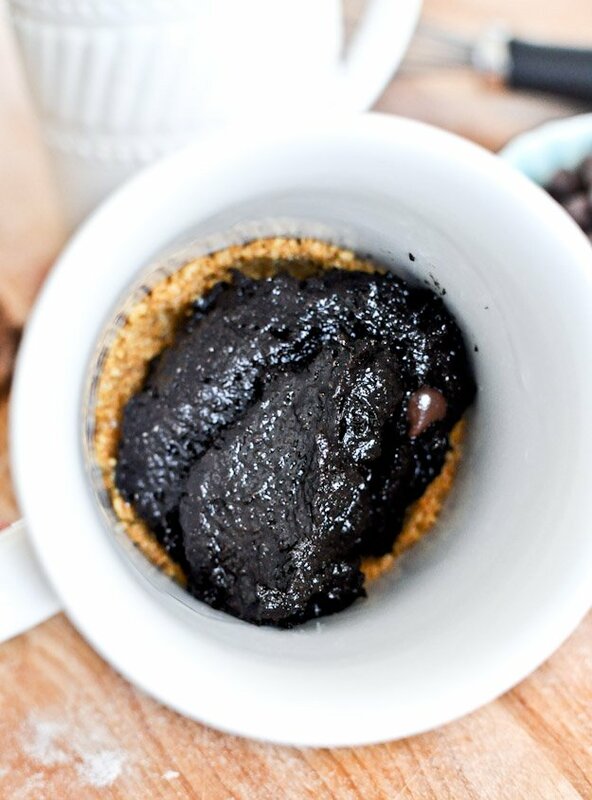 5 Minute Chocolate Fudge S'mores Mug Cake. 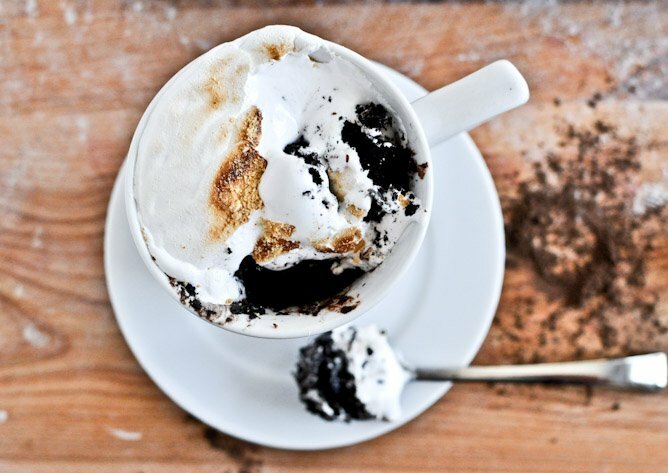 Just sharing a s’mores mug cake today. That can be made in 5 minutes. 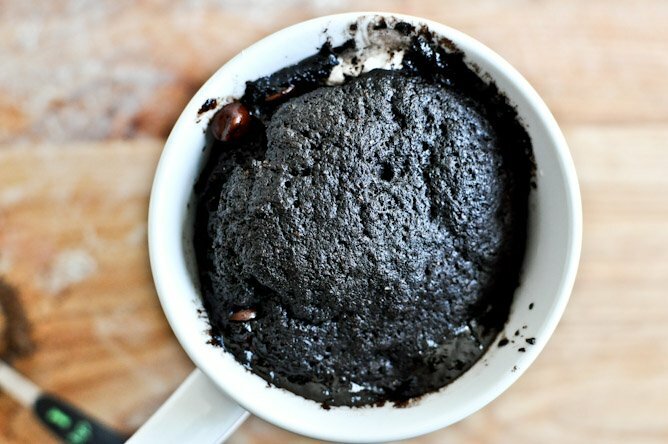 Since you’re asking, yes… I have always thought the whole “cake in a mug in a microwave” thing was sort of skeevy. Well, until I was feeling superbly lazy last week and housing a mad chocolate craving. Like, really mad. So I gave it a try. 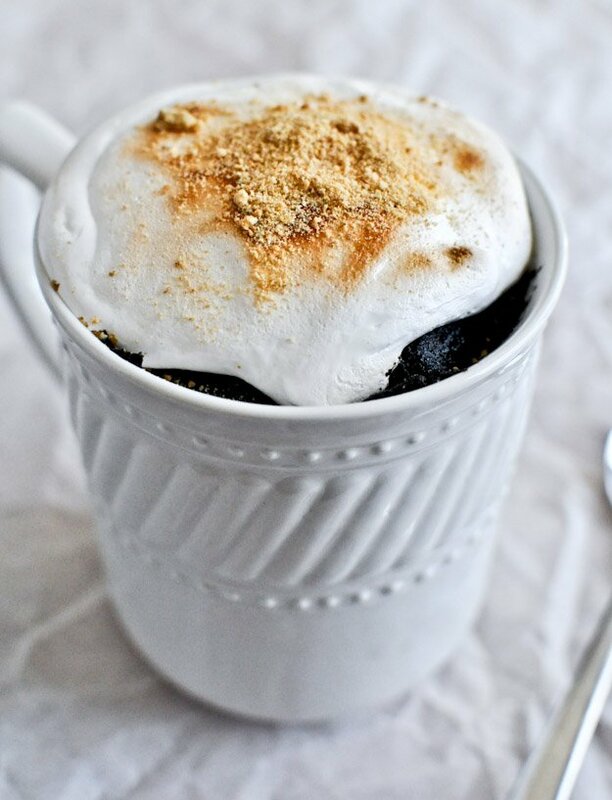 Then I thought… is there anything in the world that I’m more obsessed with than s’mores? Umm nope. There isn’t. But just so you know, I’m also allowed to say that about guacamole, Ryan Gosling and chocolate peanut butter. So stop looking at me that way. 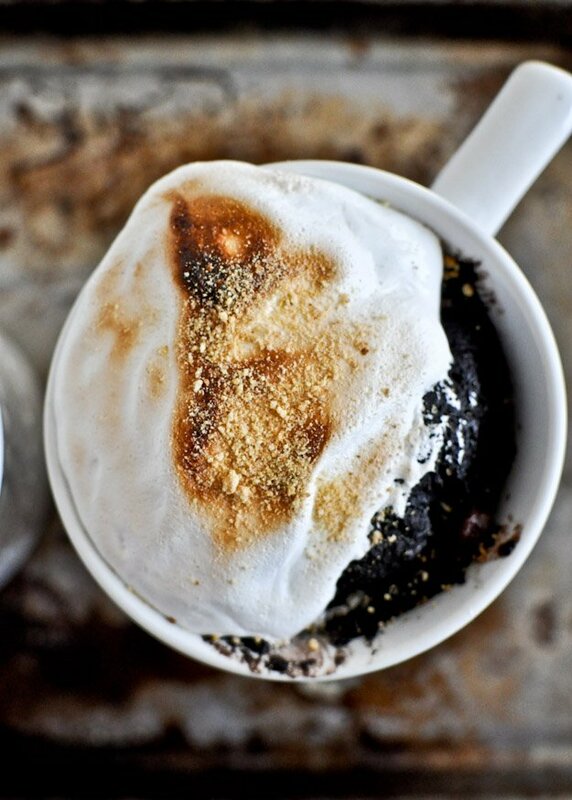 In minutes, with a few tweaks and twists and makeshift graham crusts and marshmallow middles, I had a s’mores mug. And it was just SO… FUDGEY. 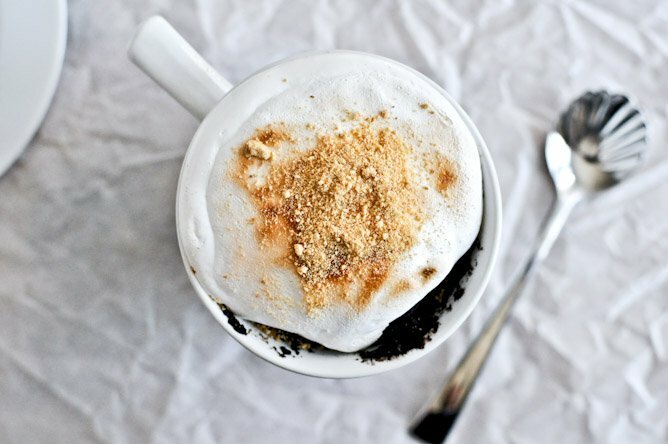 Sidebar: for years as a quick treat, I’ve melted butter in a bowl, added graham cracker crumbs, thrown on some chocolate chips and marshmallows then stuffed it in the microwave for 10 seconds. Then I usually burn the roof of my mouth because I’m so impatient and inhale it anyway. This is like, A BILLION TIMES BETTER. Sorry for the shouting, but it’s necessary. !!! 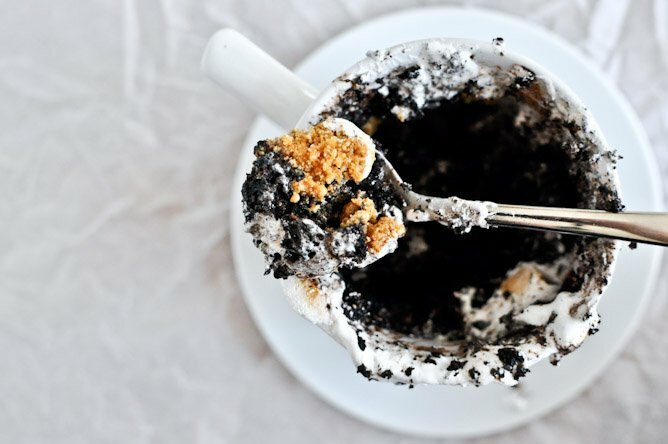 This is a much more practical, easier, quicker version of my smore’s cake in a jar, with marshmallows stuffed in the center and even a few healthier adjustments. I want to marry this mug. Don’t judge me. And if you love someone (like yourself), this would be an outstanding choice for a fast Valentine’s Day dessert. So… love yourself. PUHlease. In a bowl. whisk egg, sugar and vanilla until smooth. 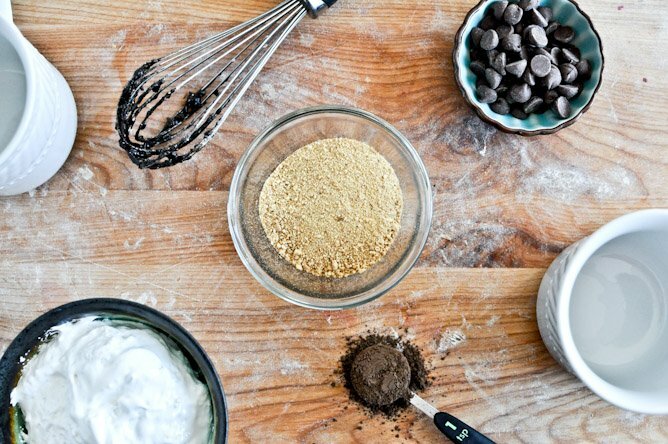 Add in flour, baking powder, salt and cocoa, stir until a thick batter forms. Stream in melted butter and chocolate, mixing to combine. Fold in remaining chocolate chips. Add half of the mixture on top of the graham crust, then throw on a scoop of marshmallow fluff/cream or a few marshmallows. Add remaining batter on top, then pop in the microwave for 1 minute and 20 seconds to almost 2 minutes. 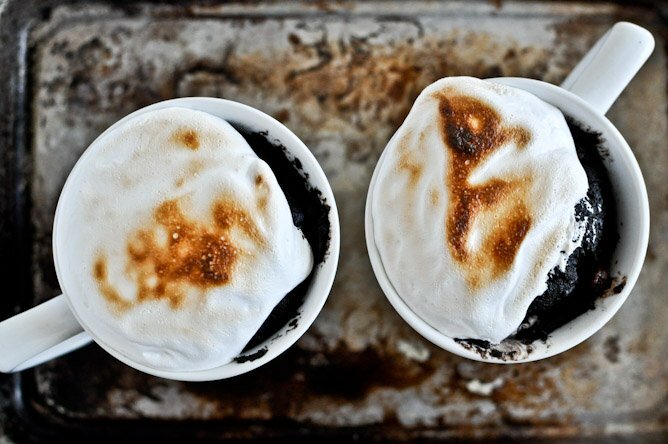 Remove and top with additional marshmallow if desired. You can pop it back in the microwave for 5-10 seconds to make them melty, or pop them directly under the broiler for about 10 seconds to toast if desired. You can also use a kitchen torch if you have one. Sprinkle with graham crumbs! Notes: If you don’t have whole wheat pastry flour, you can use all-purpose. I would not recommend using regular whole wheat. Additionally, I have made this by substituting coconut butter for the full amount of butter. It was just as delicious, albeit slightly drier. You cannot taste coconut at all. Finally, take into account the power of your microwave. Mine has a mind of it’s own and is insanely powerful, so I cooked this on 80% power. Judge accordingly and add/subtract a few minutes of cooking if you know your’s is wonky too. Unfortunately it may take 1-2 trial runs to get the right consistency because all microwaves are different, but I promise it’s worth it! And that’s Friday for you. I found this to be A LOT for one person. Normally I can finish off pretty much any dessert placed in front of me, but between the butter and milk chocolate it was quite heavy! You could definitely keep one recipe but serve it amongst two people. Taste was good though. Fudge-y and the cake turned out perfectly despite being microwaved. Valentine’s Day dessert. So… love yourself.